Thanet Athletics Club sent seven of their athletes to compete at the final Kent Young Athletes League of the season in Erith on August 5. The U15 boys gave outstanding performances from Ethan Ramsay who managed personal best in both the 100m and 200m races, and Joe Lowes winning his 100m race and coming second in the 200m. The U15 girls managed to throw, jump and run their way to amazing personal bests as well. Leah Wearing-Channing achieved an astounding javelin throw and gained a season best in the long jump. Sophia Baker gained bests in both the 200m and javelin. Finally the U13 girls saw Poppy Rowland-Hill gain personal bests in long jump, high jump and shot. Eve Seery also gained bests in the 70m hurdles and long jump. Keeva Fredericks gained personal bests in the shot and her discus event. Despite not being able to fill many of the events the team managed to finish a respectable 6th in the league. 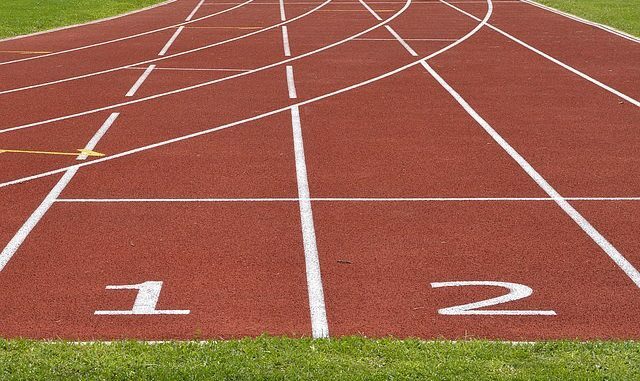 Thanet Athletics Club is hoping to build on this year’s success and next season is aiming to send out a full team and climb back up the division. None of this would be possible without the dedication of the athletes, coaches, officials and parents. The club extend a huge thank you to everyone involved.